Iran’s state media aired the purported confessions of Ahmadreza Jalali, Iranian physician and resident of Sweden on Sunday December 17. Jalali is shown in Iran’s news channel confessing to collaboration with the Israeli intelligence service Mossad and passing on classified information in connection with Iran’s nuclear program to Iran’s enemies. 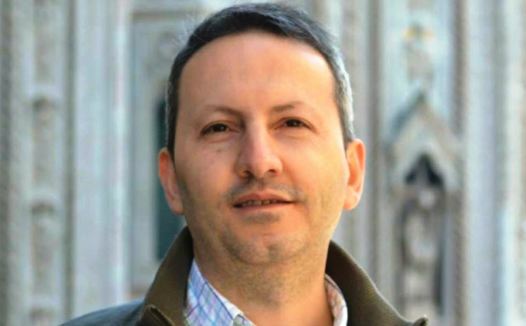 In the program aired on Sunday, Ahmadreza Jalali, who has been sentenced to death by Iranian judiciary, maintains that he is one of the specialists working on classified projects of Iran’s defence ministry and adds that after being sent abroad to further his studies, he fell victim to one of Mossad’s “security traps”. These are the charges that were brought against Jalali in court and led to his death sentence. Tehran’s prosecutor Abbas Jafari Dowlatabadi has told Mizan website, the judiciary’s news outlet, that Jalali has had several meetings with Mossad agents and passed on sensitive information regarding Iran’s military and nuclear sites in exchange for money and residence status in Sweden. Dowlatabadi has even alleged that Jalali has provided Mossad agents with “name and address of 30 significant individuals connected with Iran’s research, military and nuclear activities” including the two Iranian nuclear scientists that were assassinated. Amensty International has issued a statement saying the charges against Jalali are fabricated and that they were acquired under torture and duress. In a letter from prison written in English, Jalali has said that the charges were brought against him because he had refused to collaborate with Iran’s intelligence agency. He maintains that he has had no adequate access to a lawyer in the seven months he has been held by Iranian authorities. Airing confessions of alleged spies is one of the Islamic Republic’s tactics and many released prisoners have maintained that the authorities extract the confessions of collaborations with “enemy governments” under torture. Amadreza Jalali has worked with Karolinska Institute in Sweden and University of Eastern Piedmont in Italy. He was arrested last May when he travelled to Iran following an invitation from Tehran and Shiraz Universities to conduct crisis management workshops. In September, Jalali was found guilty of “espionage and corruption on earth” and sentenced to death. Jalali’s death sentence has triggered widespread international reaction, with numerous groups and individuals including Nobel prize laureates, scientists and politicians urging Iran to revoke the verdict. The international pressures appear to have triggered the airing of Jalali’s confessions which in effect starts with a montage of some of the international support extended to him following his conviction.